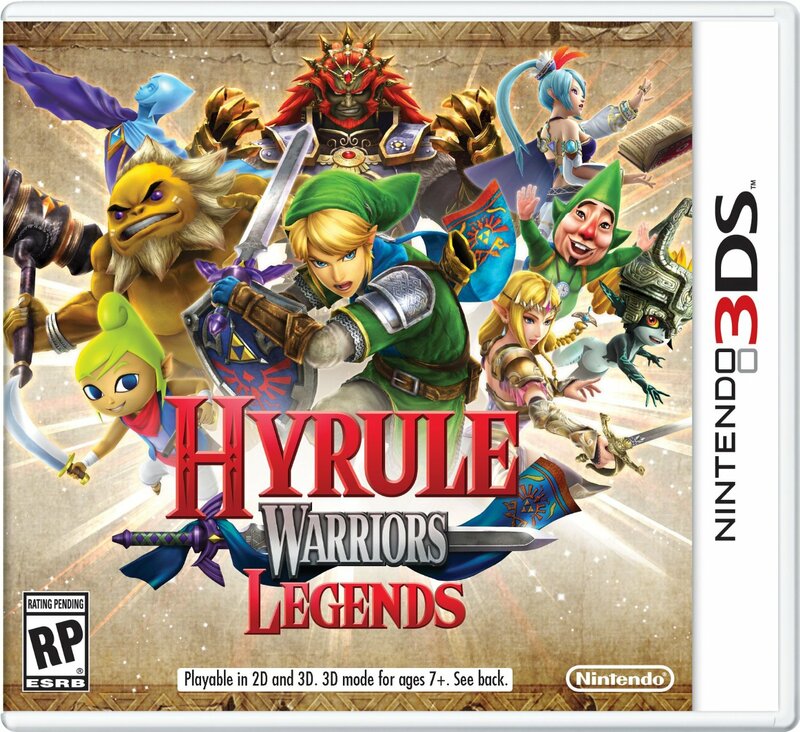 Nintendo UK has released a ton of info on the DLC/Season Pass for the upcoming Hyrule Warriors Legends. Starting on March 24th, players can order the Season Pass in two forms: one gives all the DLC to the 3DS version of the game, while the other is for both the 3DS and Wii U versions. Starting in the Summer, players can get the Season Pass for just the Wii U version. The first pack, the “Master Wind Waker” pack will be made available in Late Spring and will only be available for the 3DS game. It will provide 16 new costumes for the “My Fairy” mode and will give a new Adventure map. This pack will cost £1.79/€1,99. The second pack, “Link’s Awakening”, will arrive in the Summer. For both versions, it will add in a new playable character and a new weapon for Linkle. The 3DS version will also get a new Adventure Map and more costumes for My Fairy. It will cost £6.29/€6,99 for the 3DS version, £4.49/€4,99 for the Wii U version, or £8.09/€8,99 for both. The third pack is based on Phantom Hourglass and Spirit Tracks and will arrive in the Fall. It will contain a new playable character and a new weapon for Toon Link in both versions, and the 3DS version will get 15 more Fairy costumes and a new Adventure Map. It will cost £6.29/€6,99 for the 3DS version, £4.49/€4,99 for the Wii U version, or £8.09/€8,99 for both. The fourth and final pack is the “Link Between Worlds” pack , set to release in the Winter. Both the Wii U and 3DS versions will get two new playable characters, and the 3DS version will get 15 Fairy costumes and an Adventure Map. Like the previous two packs, it will cost £6.29/€6,99 for the 3DS version, £4.49/€4,99 for the Wii U version, or £8.09/€8,99 for both. The Season Passes will cost £13.49/€14,99 for the 3DS version, £8.99/€9,99 for the Wii U, and £15.29/€16,99 for both. Not only do these save money over buying each pack individually, but they also come with a Wind Waker Ganondorf costume. In addition to all of these, there will also be a Legends Character pack for the Wii U, priced at £10.79/€11.99. 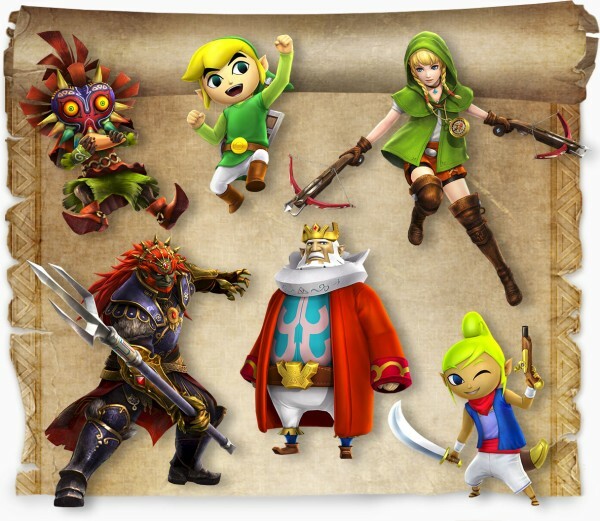 It will release in the Summer and contains all of the characters from Legends, as well as Ganondorf’s Trident weapon. The site notes that this is not included in either Season Pass. Also, while Toon Link and Linkle are downloadable through other DLC packs, they will only be able to use the weapons that come in those packs pm the Wii U unless they are unlocked through the Legends Character pack or via codes from Hyrule Warriors Legends. Additionally, Medli from the Wind Waker will be a free download for both versions of the game. She will release alongside the “Master Wind Waker” pack.